Response from Charles Tyrwhitt: I am sorry you have found the chinos to be unsuitable due to them being too baggy. 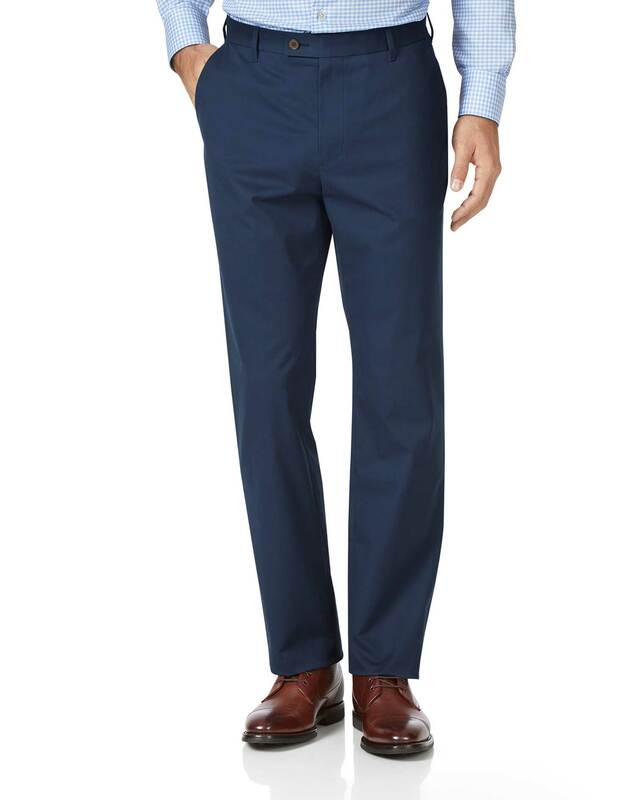 At Charles Tyrwhitt, we do offer three different fits in relation to our Chinos. Please be assured your comments have been shared with our Buying Team and as we'd love nothing more for you to enjoy the products you order. You are of course more than welcome to return your item if you'd like to try an alternative fit, perhaps the Slim fit which will reduce the amount of excess material. Response from Charles Tyrwhitt: I am sorry to hear that your recent purchase was not true to size, this should not be the case as we strive for consistency with all of our products. I can see from your account that your replacement order has been despatched and should be with you shortly, and I hope that your new order is exactly as expected.